It seems that people and companies in the modern age will find just about anything to get upset over enough to sue each other. It can be quite entertaining to see the things that get brought to court, such as the infamous case where Red Bull had to pay $10 to anybody that's ever bought the energy drink because it does not, in fact, give you wings. On the other hand, there are sometimes issues that are a bit less ridiculous where either side has a relatively strong case. What do you think? Which side will win? Do you think Valhalla Motion Pictures is justified in their action? Share your thoughts in the comments below. The company has not suffered enough with the game, now this? I'd definitely say that Valhalla Motion Pictures are justified in their action. Those logos seem way too similar. I don't know what the degrees of difference needs to be for a logo, but I would qualify that the two look different enough from each other. In the one sense, I can't say this is silly, but these kind of lawsuits do get tiresome. What a coincidence, I was thinking about this just a few hours ago after watching the Walking Dead and noting how similar the companies' names and logos are. To be fair, part of your job when setting up a company is to do a good check to make sure there's no one else with a similar name or logo to the one you're planning to use. It's really pretty straight forward. The names are obviously similar (pretty much identical) but the logos are very different. The only real similarity is that they both feature a boat, but the boats don't look at all alike. I don't think they thought hard enough about this kind of situation when making the logo. A lot of these disputes are ridiculous, but I think they're right on this one. The logo, while not identical, is too similar with nearly the same name as well. I'd wager the average person would confuse the two, they're not going to remember which way the boat is facing or anything like that. And here I am still waiting for Mythicon to sue Nintendo regarding the Star Fox name for making a good game over their (Mythicon) worst game. It's certainly no coincidence,same name,black and white image of boat riding stormy sea with a striped sail.The movie study definitely has a case and will surely win. Soooooo, deriving things from history and flavorful theme means getting sued if someone else happens to have done it first and then you both get popular? It's two different companies. It's not Valhalla. It's Valhalla Movie Pictures and Valhalla Game Studio. The full assembly of words is in each logo. The images are different. They sourced the same history when it came to designing their logo. No one is trying to rip anyone off. So WHY do we have to be so stupid about this and jump to suing? "...such as the infamous case where Red Bull had to pay $10 to anybody that's ever bought the energy drink because it does not, in fact, give you wings." That said, they do both use Valhalla, and the icons are similar. I mean, yeah, people can read, but that's how it goes with these things. @retro_player_22 I believe that is why Star Fox was called Lylat Wars in Europe at first. 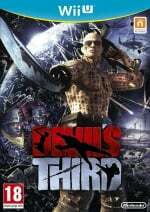 Oh wow, I forgot Devil's Third was even a thing. Unrelated, but would this perhaps deserve a Weirdness article? I will say that they probably have a case, but considering in Norse mythology, those who die who are to be sent to Valhalla are transported by boat, much like both show. The idea of making your logo in black and white like that is nothing new to society. While Valhalla Movie Pictures and Valhalla Game Studio may be different names they are still going to be too similar since people will tend to use one word. Think about Nintendo. We call it that even when referring to Nintendo of America or Nintendo Of Europe. I'm pretty sure in conversation Valhalla Game Studio has be referred to as Vahalla. Different looking funeral ship, different flag, no moon, different font,. I have seen logos that have a lot more common to live side-by-side so hard to say what happens in court. Wait, this actually makes sense. 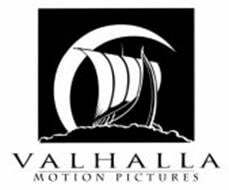 And I'm on Valhalla Movie Pictures' side, VGS's logo is waaay to similar, you see how they both even make emphasis on the word "Valhalla" almost identically? @Just_Ethan From makers of Meme Run. Seal of quality. I don't see how this should be an issue considering they are both different industries. first there game gets beaten down by the entire interwebz and now they get sued...wow...nice start for the company..
Valhalla game studio, and Valhalla motion pictures, suren it says what they are in the logo, but one might assume it's the same company, just two different studios from one company called valhalla. The point is, if valhalla makes a bad game, or an offensive game that enrages sjw, valhalla movies may suffer due to the similar logos. Read the linked article, this article is misleading in describing the case. The actual case is that red bull is misleading with ads and claims, and that their drink is about as effective as a cup of coffee. It's not because you don't literally sprout wings out of your back, but that the drink doesn't do what "gives you wings" implies, which is give you a great energy boost. Hmm... This is a tough one. But Valhalla Motion Pictures has a valid case here. It's not exactly similar, but it has an obvious resemblance. Valhalla Game Studio, might, at the end of the day, changed their name or logo. I don't know, they seem different enough to me. Given both draw their name and logo from the same Viking mythology similarities are inevitable. But games is a far more detailed boat with a carved head and side on whilst films it front on, less detailed and has no dragon head. Films features a crescent moon but games does not. Games is on a surging wave, films does not appear to be. Films has three thin stripes on the boat's sail, games has two thick stripes. Games has a flag and round shields on their boat, films does not. Different fonts are used. Text placement is different as games uses it within the black square that contains the iconography and films uses it outside. I'd say games has a strong case, but they may be wise to tweak it anyway. Lol! Who cares?! Isn't there more important issues in the world? This doesn't do harm to anyone. I don't get it. They share a color scheme and theme. There's no way there's trademark infringement going on here. They will probably just need to change their logo, can't see much ellse that's likely to happen. I doubt they are particularly profitable. Better sue Nintendo as well. There's a place in Super Mario World called "Vanilla Dome"
Normally I would roll my eyes at frivolous lawsuits, but the movie company is right that Itagaki's company logo is extremely similar to their own. Maybe it wasn't a conscious design decision though and hopefully the two can come to an agreement without a big court battle. Both logos have white text on black background, a viking-esque ship up front and, most notably, have the same name (yeah, they're slightly differently named but most people like to call companies by the big name up front (e.g. Disney, Microsoft). This has to be more than a mere coincidence! Odin should just strike them both down. He created Valhalla which is located in Asgard. After many years in marketing, the above to logos would not create a 'sueable' case as both are based on a historical imagining. With both companies names being different and the only word being same is a non trademarkable word. Would say that even under the three key changes between artwork this many be where they get pulled up as although the art styles are different the choosen colour pallet is similar. Again the content displayed is an artists representation of a historical boat at sea. CONCLUSION if judged in a court of law, the logo created after the said original would be required to make some key changes mostly to colour pallet. Rather than cease and desist or pay a fine. @Tasuki The funny part is that Mythicon trademark the Star Fox name over there in Europe but never released the game and the region (NA) that they did released the game for, they forgot to trademark the name for it. @StarDust4Ever Did not know it was a crappy game until I play it myself. One of uncle used to own an Atari 2600 and Star Fox was one of those games. I play it thinking it may be the Nintendo version but simplified, boy was I wrong. That game was so terribly ear bleeding I had to mute my TV to even play it. Considering I'm in the graphic designer business myself, maybe compare it to the Elvis album and the U2 album. Very similar. I can see a resemblance sure but Valhalla game studio may be okay with this. Did they do their research before hand? They may have to change their logo but their names are different. It's like saying every company who has "game studio" are going to sue eachother. It's a tough call. Maybe a small settlement may be the end result. I grew up playing Lylat Wars as a kid, and wondering why the title screen said "Star Fox 64"
They better run when Odin finds out. Seriously , they do not own the name Valhalla or the image of a viking long ship. I don't see how they can expect to get anything from this. I don't know if they really have a case. "Valhalla" is a name from Norse mythology, so can it really be trademarked in the first place? As for the logo, due to the mythology involved it only makes sense to use a Viking longboat, which along with the fact that they're both in black and white are the only real similarities between them. I wonder if this is a case where the people at Valhalla game studios drew their own logo and thought it looked so good because they had seen the other logo. Perhaps the connection was unconscious and they did not realize their mistake. The only thing they could really get them on is the use of the word Valhalla, as the images are not similar enough in and of themselves. If the movie company didn't have games as one of the things in its Trademark application, and the games company hasn't put movies as one of the things in its Trademark application, then I see no case whatsoever. They both probably did have those things on each of their Trademark applications, however, which is likely what led to the action in the first place. It isn't unusual for two entertainment companies to cover a slightly broader spectrum than their core business when registering a Trademark, just in case they decide to branch out a little in the future. And this is coming from someone who went through a two year Trademark dispute instigated by Warner Bros.: INCEPTION vs. iNCEPTIONAL—I won. So if my logo was also a black and white boat, I'll get sued, too? The logos are very similar. Especially if you flip the game studio's logo. They should change the logo. Valhalla movie studio however, can't own the name Valhalla exclusively. @Shworange The logos are not similar. Not really. Not in the way you think. Without the name, Valhalla, there would be no confusion at all, and there will be many companies with similar images of a viking type boat on the sea. The specific image is not a valid point of contention here. It's really only the name and the general crossover in fields of entertainment that is the basis for any Trademark dispute at all here. Similar in the way that they're both Viking style ships in black and white, on the water. Regardless, it's moot as you said since they're only concerned with the name. Since that's the case, the movie company won't win... Hopefully anyway. It is usually hard to win a lawsuit over something like this as they are not exactly the same. This would be almost similar when those guys tried to trademark the name Candy. The name isn't exactly the same and neither are the logos. Yes, there are similarities however there is plenty of companies with such things as this s others and they are not affected. I will be surprised if this lawsuit holds. Side note: it took them few years to sue them. It's definitely confusing enough, I wouldn't be surprised to discover the movie studio asked the game studio to change. If you didn't know, you would think maybe they are two parts of the same company, as both are called Valhalla and have a stylised Norse ship on the seas in black and white. For me it's equivalent to Apple Music being copied by Apple Computers - same name and similar logo. @Trikeboy and Apple don't own the copyright to the word "apple", but I can't call a company Apple something and use an Apple as a logo. Although I probably could and use their own lawyers against them from their court case with Apple Music (aka the Beatles). Nothing that cant be easily solved. Just change the pictogram. The studio isnt old enough to be solely recognized by its logo alone. And the Valhalla theme has a lot of potential for different pictograms. Use a vikings helmet, an axe or maybe even just a figurehead. It isn't enough that they have to be demoralized because of an awful game, but now they have to deal with this? Ya. I don't blame them for thinking that. I hope I can still get my $10 from Red Bull. Reminds me of a local case a few years ago about a dog groomer named Starbarks. One of their people actually made a comment about how Starbucks was being unreasonable with their claim that their logos were two similar, that somehow they claim to have a trademark on a circle/round shape with a green background. Look up Starbarks vs Starbucks and you will see why Starbucks complained. I just called Red Bull, and the deal is off. BTW Starbarks ended up changing their name and logo. @Shworange Well, when you trademark a logo you tend to submit a black and white image because that tends to cover any colour variations too. If you send a specific coloured image it might cause some issues, as you're basically saying the specific colour is important/essential to the mark. Although, I presume these guys are using just the black and white image anyway. Both of these logos are all over my city with advertising, and because one (or maybe both) of them have offices here, and I'm surprised this hasn't come up sooner. Valhalla Game Studio and Itagaki should have just used a skimpy/cool/demonic Valkyrie or something like that as a logo instead of a boat. That seems more his style, anyways. I would say the movie studio probably has a case, considering how amazingly daft the American justice system can be. (Thanks for reminding us of that classic case of "false advertisement" ). Remember that the USA's legal system hasn't even figured out how to handle cases where people sue each other because their logos are a fricking letter of the alphabet which looks somewhat similar in font to theirs, even if it's bolded Arial or Times New Roman. @PlywoodStick It's not the image that's given them grounds for the Trademark dispute. It's the name, Valhalla. The image is basically irrelevant in this case, imo. @Shworange Well, it actually has more of a case if it's just about the name to be honest, and largely because it probably included videogames as one of the products it might to creating/selling under the Valhalla Trademark in its original application. I have to admit that both the names and logos are quite similar to the point that people would likely think that they are affiliated with each other. This is still kind of silly though. 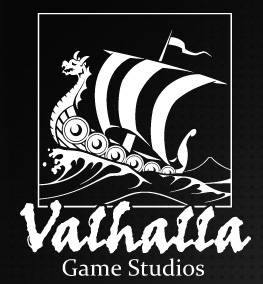 It's only natural that one who uses Valhala in its name would use a Viking Ship and therefore the dispute should be raised to whether the gaming studio should be forced to change its name as well as change of logo.